you haven’t seen the SAWS Memo. “SAWS” means Sensitive Application Warning System. In the U.S. Patent Office, certain ideas innocently submitted in patent applications by American inventors are considered so “sensitive” that they get routed from line examiners into special upper-management screening. Do these inventions land in oblivion? This internal memo, never intended for public eyes, says that certain technologies are too threatening to be processed in the normal way. Rigorous bureaucratic routines must be fastidiously instituted against the perceived threat. Is technology a political construct administrated by high orthocrats in the patent office? SAWS woulkd suggest that this is so. Consider the desperation that would prompt an official to circulate such incriminating candor. One can sense a panic, a palpable fear that one of these taboo inventions might fall through the cracks into patent. A SAWS-like censorship has been systematically institutionalized all over the mass media (liberal-progressive media included) and all over academe. Free-energy is a large, diverse and busy field of research and inventing, but this creative community has been rendered invisible and has been systematically excluded from the national energy conversation. 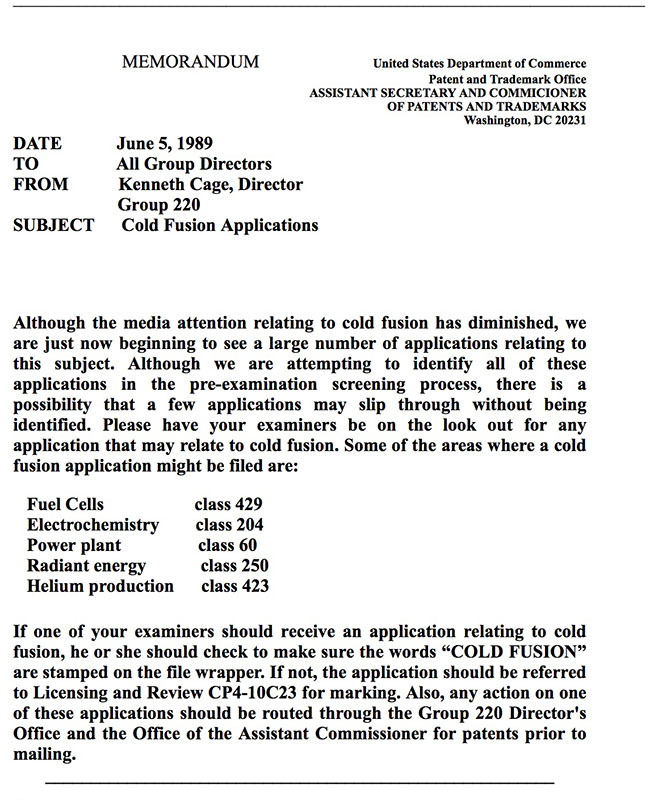 In this repressive climate, the only free-energy technology you may have heard about is “cold fusion,” and chances are you have heard of that mostly in invidious contexts. Free-energy generally gets a press like UFO’s. Over-unity (a more descriptive buzz word) means getting more energy out of a device than you put in. Over-unity is what the patent office has a problem with and what the SAWS policy is all about. Free energy? Not in this orthocracy. “Electric energy is everywhere present in unlimited quantities,TeslaPatent 685,957 and can drive the world’s machinery without the need of coal, oil, or any other fuel,” said Nikola Tesla in an article published in 1933. If this is true, energy scarcity is a hoax. 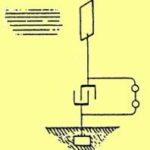 In 1901 Tesla quietly patented a space-energy receiver. Patent No. 685,957 is an “Apparatus for the Utilization of Radiant Energy.” Tesla’s patent became seminal for subsequent inventors of the radiant-energy receiver. Of course, radiant energy is one of the five taboo invention classes in SAWS ’89. Your everyday solar-electric panel is an example of a primative radiant-energy receiver and, if applied for today, might fail to get a patent under SAWS. Feared: the table-top home-power space-energy machine. Free energy — Tachyons, etc. It is so comforting to know that a vigilant patent office is protecting us from all these techno-terrorist threats.